The Bombers were put to the test in a two-lap challenge at The Hangar on Friday. Patrick Ambrose has been named the Adam Ramanauskas Most Courageous player at the 2017 Crichton Medal. It is named after a favourite son and there are plenty of worthy contenders for the Adam Ramanauskas Most Courageous award in 2017. 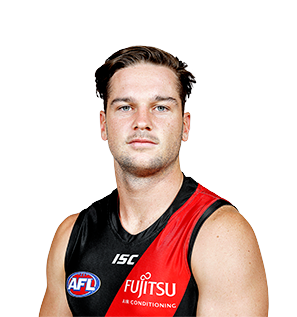 Tough key defender who struggled with injury in 2018 when restricted to just seven games. In his first six games of the year, Ambrose recorded 38 one-percenters, a clear example of his immense work rate and eagerness to put his body on the line for his teammates. Ambrose is an elite runner for his size with a terrific ability to use his closing speed and get to the contest. Whether playing on tall or small opponents, Ambrose gives his all and will push for more consistent game time throughout the 2019 season.